Customers of Chullora Centre complete surveys rating our services, cleanliness, professionalism and many other attributes. 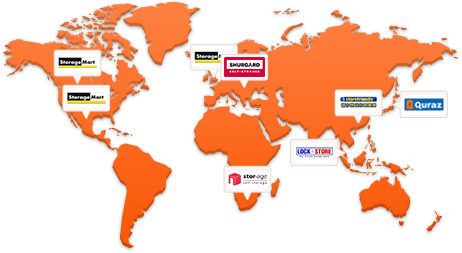 Kennards Self Storage Chullora plugs an important gap for our business and personal customers/storers due to its prime location on the Hume highway. Located at the intersection of Hume Highway and Roberts Road, Chullora is the ideal storage solutions for a range of businesses by way of its convenient location. At the same time catering to the personal storage needs of customers around Greenacre, Lidcombe, Potts Hill, Yagoona, Rookwood, Regents Park and Strathfield South. 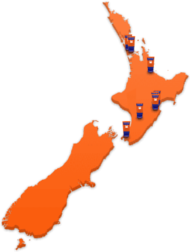 A bright orange and blue building you surely can’t miss, purpose built for all your storage needs. Offering storage sizes from one cubic metre lockers to garage size spaces, drive up units and open spaces to store your treasured cars, boats and RVs. At Kennards Self storage, caring for your possessions is a priority for us, therefore all are storage units are individually alarmed with round the clock CCTV surveillance, 24 cameras and integrated PIN access. Our Box Shop is open business hours 7 days a week, offering boxes and packing materials. You can visit even if you do not store with us. Kennards Chullora can guarantee no credit card surcharge when paying by credit and will also refund any unused rent when you move out. 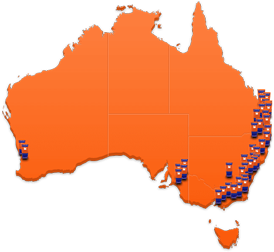 You can visit your storage space at Chullora 24 hours 7 days a week. Regents Park, Lidcombe, Rookwood, Potts Hill, Chullora, Greenacre and Yagoona. 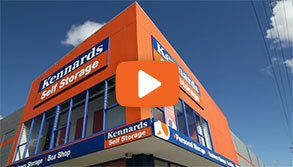 Why choose Kennards Self Storage at Chullora? Our Newest Beacon of Freedom Signs Up! We're really excited because this signage takes us a little closer to final handover and full operational capability. Kennards Self Storage - 2c Hume Highway Chullora Nearly There! On the outer edge of Sydney’s Inner West a new development is looming.